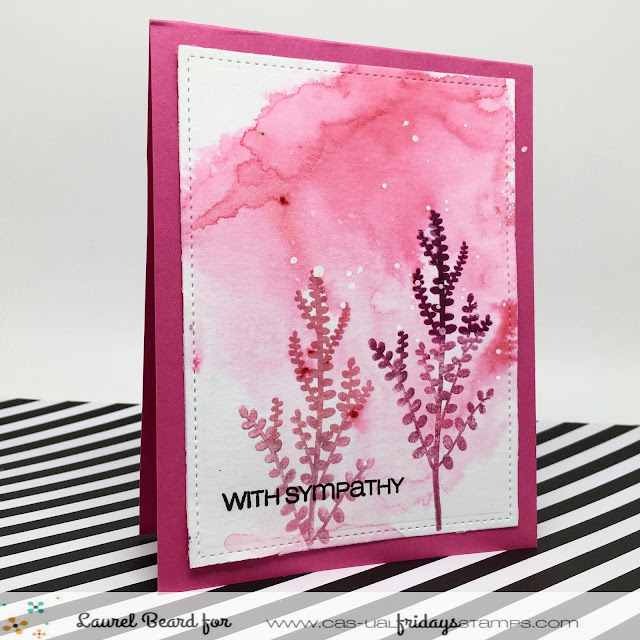 has a pretty in pink sympathy card. 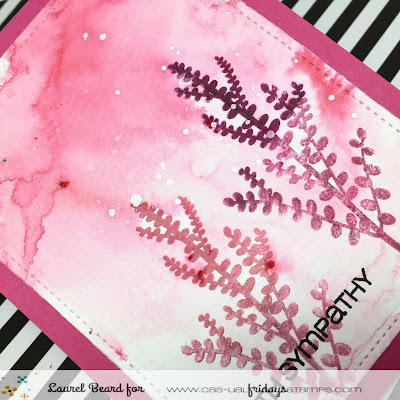 Sympathy cards are not fun to make. so I don't have to feel creative when I need them. Our Casual Comfort makes a really pretty and serene card. I really like the water colored background with the little drip drops. Be sure to check out our Sale Section. Lots of great goodies in there this week for our birthday celebration! Beautiful. I am going to make a few in different colors just to have on hand. Beautiful background, love the Casual Comfort Trees! Beautifully done. I'm a sucker for watercolored backgrounds and this is a beautiful card. Thanks for sharing it with us.